Two sets of robot birds have flown the nest recently. The Barbican have commissioned a new flock of birds, pictured above. This piece is on display at their awesome Digital Revolution exhibition which is on until 14th September. The parrot has gone back to his native homeland of Brazil for an exhibition called Gambiologos 2.0 organised by the Gambiologia Collective. 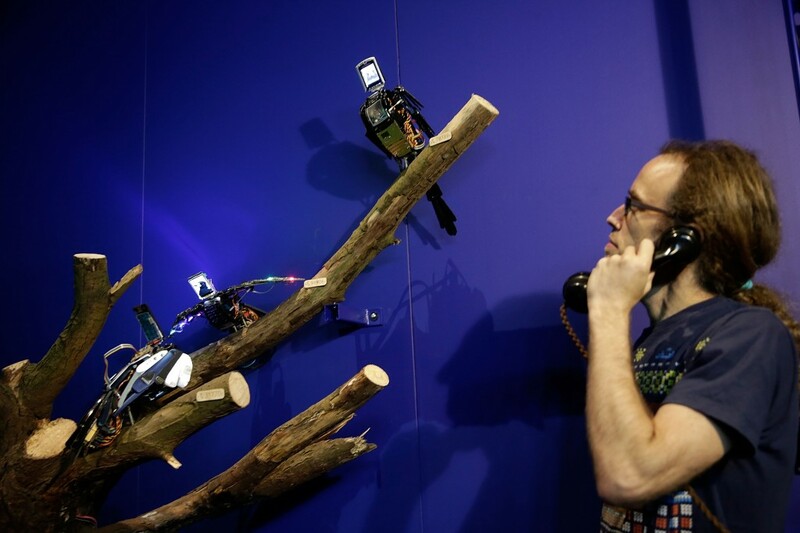 The exhibition explores work that improvise with found objects, code and electronics. There’s a little more on Gambiologia here and here. The exhibition is at Oi Futuro in Belo Horizonte until 17th August.